Are you running or working in a company selling complex industry goods or services with local Sales Teams or a globally operating Account Teams? Are you looking for an experienced “Sparring Partner” to improve your Sales Organization? 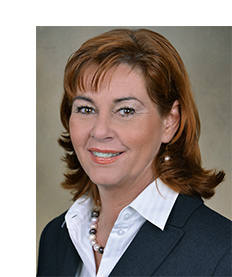 You are exactly in the right place with Annette Habermann and her partners! Annette Habermann has been in the corporate world of IT-, Solutions & Services- and Telecommunication Industry for 25 years herself. She is pleased to contribute her broad experience in international Sales & Leadership, Mentoring Teams & Leaders fostering Personal Development to your Organization. Together with her partners, a team of experienced managers, trainers and coaches, she can also provide these topics for other sectors. All our topics can be fully customized to meet the needs of your organization and also be performed as in-house workshops. When applying your newly acquired skills and insights into your daily business, we gladly support YOU with Executive Mentoring and your team with Team- Mentoring.